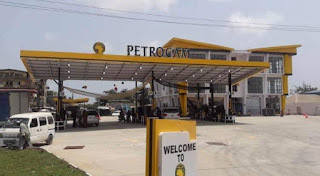 In a bid to contribute her quota to availability of fuel in the country, Petrocam Trading Nigeria Limited recently opened a new solar-powered fuel station in Lagos, increasing the number of its retail outlets to eleven (11). The new outlet has five metric tonnes gas skid and 11 underground tanks with 45,000 litres capacity each and ten tanks for Premium Motor Spirit (PMS) and one tank for Automated Gas Oil (AGO). The outlet also has six PMS pumps and the pumps are double nozzles which simply means 12 customers can be attended to at the same time. Also, due to the inability of the Federal Government to deregulate the downstream sub-sector, the firm has suspended its plan to build 400,000 barrels per day (BPD) refinery. The Managing Director of Petrocam Trading Nigeria Limited, Patrick Ilo said that the firm is not engaging in building of refinery at least for now. He noted that until Federal Government deregulate the sector, his firm cannot invest in building refinery. The Admin and Sales Manager, Petrocam Trading Nigeria Limited, Eyo Oghogho re-emphasized that building of refinery is not in their plan for now, but it can be in their plan in future if there is deregulation. According to her, any investor who builds refinery will be running at lose without the removal of cap on petrol pricing. While speaking about the unique selling point of the firm, Oghogho said; "At Petrocam outlets we ensure that a litre is a litre. Another thing is that when you come to Petrocam Filling station, you are sure you would get your PMS, Diesel and gas. You don’t need to go somewhere else to get your gas." "Talking about the gas, we have a digital scale system whereby you are sure of what you are buying. If you have a 12.5kg cylinder you don’t really need to buy a 12.5kg gas. You could buy 5kg into it because the scale is digitalize and you could see what you are buying. You are paying per kg, just like the way you buy fuel per litre. This distinguished us from others. Another thing is that we sell accessories. You can buy cylinder, gas head, gas regulator and even service your cylinder. With that we go an extra mile to give people extra service," she stated. She also noted that their outlet don’t sell Dual Purpose Kerosene (DPK), popularly known as kerosene because they believe in environment friendly company and that is why nine of their eleven outlets are solar powered, adding that they sell Liquefied Petroleum Gas (LPG) instead of kerosene. "All our outlets for now are based in Lagos. 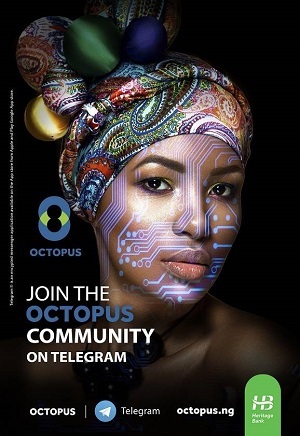 We are intending to extend our frontiers to state capitals in the next couple of months and from there we would start expanding to other locations in Nigeria," she concluded.